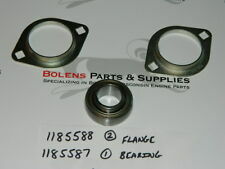 Bolens Driveshaft Bearing Kit 1185587 1185588 Fits 800,850,900,1000,1050,ect. PARTS ARE IN GOOD WORKING CONDITION. Fits many push and self propelled walk behind lawn mowers from Bolens, Brute, Columbia, Craftsman, Huskee, MTD, Murray, Yard Machines, Yard Man, and Troy Bilt. WIRE LENGTH51-1/4". 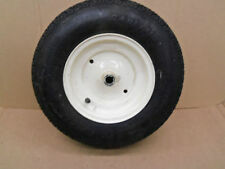 Replaces #831-0823 or 831-0823A MTD, Troybilt, White Outdoor, Wards. Throttle Cable Housing/Bracket For Mowers & Tractors. Replaces Bolens part numbers: 1754250. We specialize in Bolens parts! Part # 590535. Rope is cut from bulk spool to keep the price of these kits low as possible. 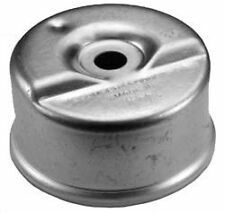 This cap replaces Tecumseh Part # 31573A. Replaces NLA sears # 9769H. Gauge length 4 -1/2". Tecumseh 34156A. 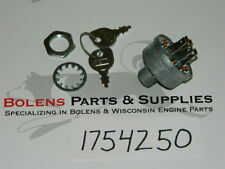 We specialize in Bolens parts! 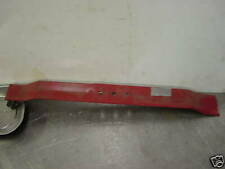 Up for Sale is a New Genuine Tecumseh Fuel tank. Replaces part # 1756757. We specialize in Bolens parts! Fits the Following & possibly others. DGT 1700 (Diesel) ( only fits certain serial numbers). GT1800 ( only fits certain serial numbers). 5118HS ( only fits certain serial numbers). We specialize in Bolens parts! Black twist & lock knob. -Conduit Length: 41". CV17, CV18, CV20, CV22, CV620, CV624, CV640 (624cc). CH18, CH20, CH22, CH620, CH640, CH641 (624cc). K482, K532, K582. Kohler Crankshaft oil seal set, for Flywheel and PTO side. Part Number: LMS2002. Dim (A) 19.00". Dim (B) 3.00". Dim (C) 18.50". Dim (D) 13.00". Tecumseh 33015A. Up for Sale is a New Genuine Tecumseh Head gasket. Unlike most conventional belts, ours are actually designed as the original Bolens ones were, being cogged in design allows you to properly tension the belt and it wont slip when trying to turn the motor over like a conventional cheap belt. 1 - 4" X 6" BOLENS FMC CORPORATION. This sticker is Black and White Vinyl. New Vinyl Sticker. Great for placing on your Lawnmower's hood, Trailer, Car, Truck, tool box or any hard surfaces. 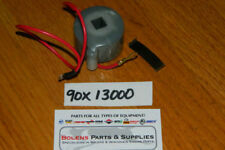 Bolens Part number02002253 Replaces Obsolete#01000281. We specialize in Bolens parts! Tecumseh Side Cover Gasket 30684. Part #: 30684. Trending at $5.39eBay determines this price through a machine learned model of the product's sale prices within the last 90 days. Condenser 294628. New Ignition Tuneup kit for B&S engines 2-8HP. Points plunger 65704. Spark plug 796112. Kit contains. Replaces Part Numbers: GW-1750842 and GW-B1750842. 11A-546P034 Push Walk-Behind Mower. 11A-545D034 Push Walk-Behind Mower. 11A-545D734 Push Walk-Behind Mower. 11A-549W300 (2002) Push Walk-Behind Mower. 11A-509W300 (2002) Push Walk-Behind Mower. 11A-439W300 (2002) Push Walk-Behind Mower. 11A-A14A065 (2011) Push Lawn Mower. 11A-A14S265 (2011) Push Lawn Mower. 11A-A0JC006 (2011) Push Lawn Mower. 11A-A0JC027 (2011) Push Lawn Mower. 11A-B0JC006 (2011) Push Lawn Mower. 11A-B2M7004 (2011) Push Lawn Mower. Wisconsin Engine Zenith Carburetor Gasket kit 93C181-296 L57 series VH4D ect. Riding Lawn Mower Bolens G14XL. Good used condition. 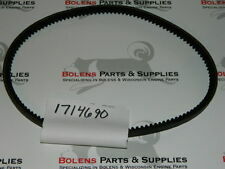 This kit fits the following Bolens models Kit Includes: (2) Blades (2) Spindles (1) Pulley (1) Deck Belt. MTD Bolens: 756-04129B. MTD Bolens: 954-04062. 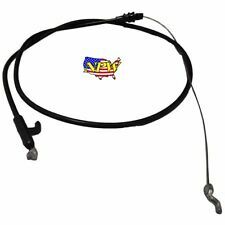 Belt Replaces OEM#. Belt Specifications Cut Direction Right. We specialize in Bolens parts! Replaces Wisconsin part#PH557A. Bolens G152 Garden Tractor 2WD 3 cylinder Diesel. Condition is Used.The tractor is very clean and easily starts. Included with the tractor is a 54" mower deck and a 4ft Brush Hog. Hi-Lo range transmission, 3 speed PTO rear and a front PTO for a snowblower or other accessories. We will do our best to locate the parts you need and make every effort to save you money. Bolens: 1751569. Solenoid Starter. will accomodate Both 5/16 & 1/4 connectors. Tecumseh #'s 37659 650767 650765 28942 33377 650537. 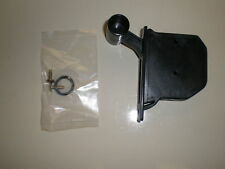 Up for Sale is a New Genuine Tecumseh carburetor bracket w/ mounting screws. New cover and air filter part # 595660 (cover) Part # 799579 (filter). Set of two. Part # 1727127. BOLENS DRIVESHAFT / DRIVE SHAFT ( USED ) BOLENS DRIVE SHAFT. USED ITEM. USED NOT ABUSED, THE TOTAL LENGTH OF THIS IS APROX. 8" LONG, JOINTS ARE TIGHT. SHAFT SIZE APROX. - 3/4" X 7/8". HOLE SIZE - APROX. Gravely: M475, 013472, 20121700. Belt (Industry Number): 5L300. Belt Aramid 5/8" X 30". Length: 30". 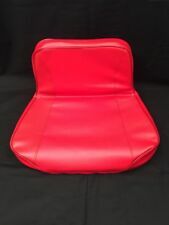 Troy-Bilt: 1108539, 1109539, 954-0249. Speedex: 3923300. REF NO: B27. Hayter: 235015, C22-8867-00. HH40, H50, HH50, H60, HH60, H70, HH70, Very common on Snow Blowers. 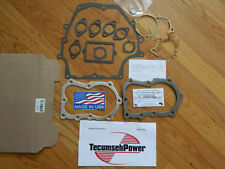 Tecumseh Part#'s 32401, Gasket 35865. Up for Sale is a New Genuine Tecumseh Muffler Mounting Gasket Mounting Bolts! Belt (INDUSTRY NUMBER): 5L380. Rotary 5165 Belt Premium 5/8" X 38". Length: 38". Rotary: 7583. 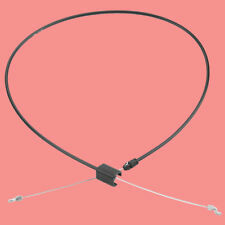 12V PTO ELECTRO MAGNET COIL REPAIR - BOLENS PN 1754151, CUB, MTD, JD, SIMP ETC.